Our sheriff vehicles are the choice of sheriff’s offices nationwide. We offer an array of armored sheriff vehicles to keep law enforcement safe. Swat-Vehicles.com is proud to offer state-of-the-art sheriff cars, sheriff trucks, sheriff vans, prisoner transport models and more. Our armored vehicles offer unrivaled safety, and are customized to meet the unique needs of our customers. Law enforcement organizations have long been loyal customers of ours, as they know we leave no stone unturned in creating armored vehicles that perform their best when the chips are down. 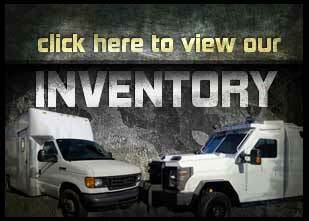 Consult with our team today about your security vehicle needs and the models available to you. We offer a diverse selection of vehicles featuring advanced design and superior engineering. Get your quote today. The vehicles your department chooses are an investment in the safety of your law enforcement team. From patrol cars to armored deployment vehicles we can provide a fleet of vehicles that help you carry out the difficult work of law enforcement every day. We are committed to finding the right vehicle solutions for you. the superior design and technology of each vehicle we customize has gained us a reputation as the industry’s number one resource for armored vehicles. Law enforcement agencies the world over count on Swat-Vehicles.com for the vehicles the use on the job. Safety and reliability are built into our vehicles, and the customer service we provide our clients allows us to forge working relationships that result in the very best results. We take the time to get to know you and your business, and in terms of law enforcement we are well versed on the needs of police and sheriff departments. Contact Swat-Vehicles.com today for more information on our many armored options.